Life is beautiful, as the award-winning movie title tells us. And yes, this is the absolute truth in essence, but the reality is that many of us don’t feel that way most of the time. Personally, I’ve always been an optimist but have also found that when things are not going as planned, I can sink to a whole new low and my perspective on my life, my future can look disturbingly bleak. I know I work hard, and also work myself hard. My spiritual practice is a continuous mission and I know I am no saint by anyone’s standards I do make a conscious effort to do the right thing, and to eradicate as many negative thoughts and emotions whenever possible. Suspending judgment especially towards myself and those I barely know is proving to be quite a challenge, and because of this I sometimes feel exhausted towards the end of the day trying to prevent myself from not thinking bad about others and of course myself. I have to say that many blessings have come into my life by way of work and relationships since I started this path of more self-awareness, yet, there is still a lack I feel inside me, and a yearning for more in my life. I pray, meditate, practice yoga, do volunteer work, spend time with my friends and family and always do my best to be there for people in need, but I still feel a lack, something missing; so I prayed for some kind of solution to this. Part of the answer has come to me by way of Theta DNA healing. A newfound friend studied this healing modality abroad and is now bringing workshops here to Manila in August. What theta does in a nutshell is that it brings one to the place in between sleep and deep relaxation, where, it is said, one can manifest EVERYTHING one desires or thinks. Sounds too good to be true right? Well, if you are to believe what Theta practitioners and all those who subscribe to power of intended thought (i.e. The Secret) then you know it is true and good at the same time. Manifest what you want through the power of intended thoughts. Ok fine you say, you’ve read The Secret, or The Law of Attraction, you’ve done your vision boards, your prayers and countless manifestation exercises religiously and still nothing! Trust me, I know how you feel and the frustrations are the same. Why then, after all of this, and believing in this thought=form philosophy is nothing happening? Theta explains that it is because we live only 10-12% in our conscious minds and the rest, all this untapped power or blocks even exist in the 88-90% subconscious mind. In other words, you may feel like you’re giving 100% but in truth, it’s really just 10%. Theta promises to relinquish you from the entrapment brought about by the power of the subconscious and help harness it instead to bring forth what is for your “Highest” and “Best”. 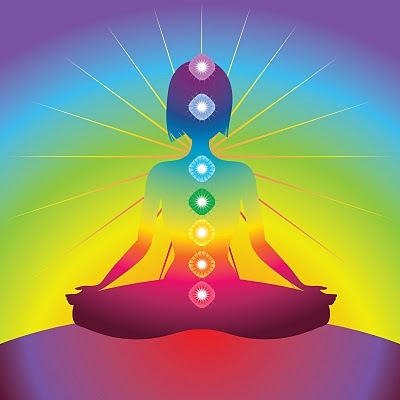 Balanced healthy chakras are the root of a balance healthy existence as well! Another point that was brought up was the “Law of Karma”. If you believe in karma ( I certainly do) then you know that the world is all about balance and to a degree payback. What you put out, you get back. So, it is very possible in a past life (or several past lives) that you were not the aware, sensitive, do-gooder you are now and because of that, you may be denied in this life what you feel you deserve or desire. Think about it, you could have made a vow of poverty, chastity-or if you experienced a life over 500 years ago you could have very well been the instigator of the Spanish Inquisition. Wow, imagine how much karma that existence has reaped. Theta promises it can change all that, provided you want to let it go, or better said are READY to let it all go. Forgive yourself, and ask forgiveness from others, even on the subconscious plane is already a huge step in your evolution. I cannot get too much into detail about Theta healing as I myself have signed up for the workshops this coming weekend, but I can share my own personal experience with it. It is almost a meditative release of whatever baggage you may still be carrying around with you that is blocking you from what you need, crave and long for. There are four aspects of karma, the core, genetic, history and soul, and believe you me, I want all of those hindrances to be released and transformed into manifestation energies for my highest and best. 🙂 The master healers will be in Manila for the first time, for The Manila Meditation Festival 2012. If you’ve been waiting all your life for a change, for something you know is inexplicable in a tangible, rational sense, then you may be ready for the dramatic shifts you will experience with Theta DNA Healing. The Manila Meditation Festival 2012 kicks off this month. I have included below a short description of what Theta is written by one of its practitioners and now head of Theta Healing Manila, as well as how to get in touch with her for more information. I do hope to see all of you at the workshops! and emotional levels for yourself and others. 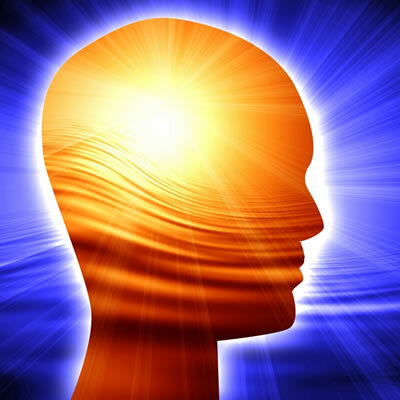 conscious mind is a mere 12%) in the powerful Theta brainwave state. the key to change those beliefs in an instant – to simply download. 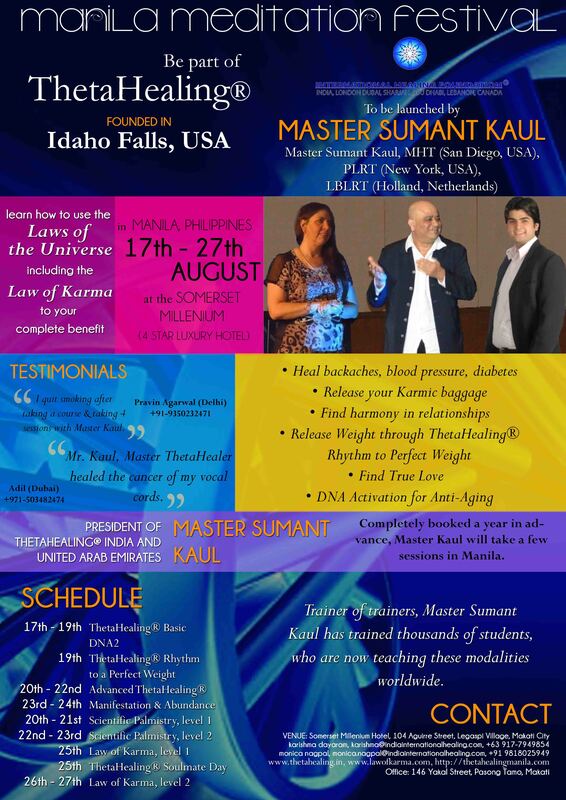 Completely booked for sessions a year in advanced, Master Sumant Kaul, will be coming to Manila, Phlippines this August to launch ThetaHealing as part of a Manila Meditation Festival. He has taught ThetaHealing to thousands of students worldwide (USA, London, Japan, India, UAE, Switzerland), and regularly assists Respected Vianna Stibal in Teachers Training Courses worldwide.